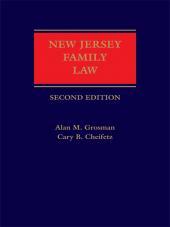 A complete and up-to-date guide for New Jersey family law practitioners. 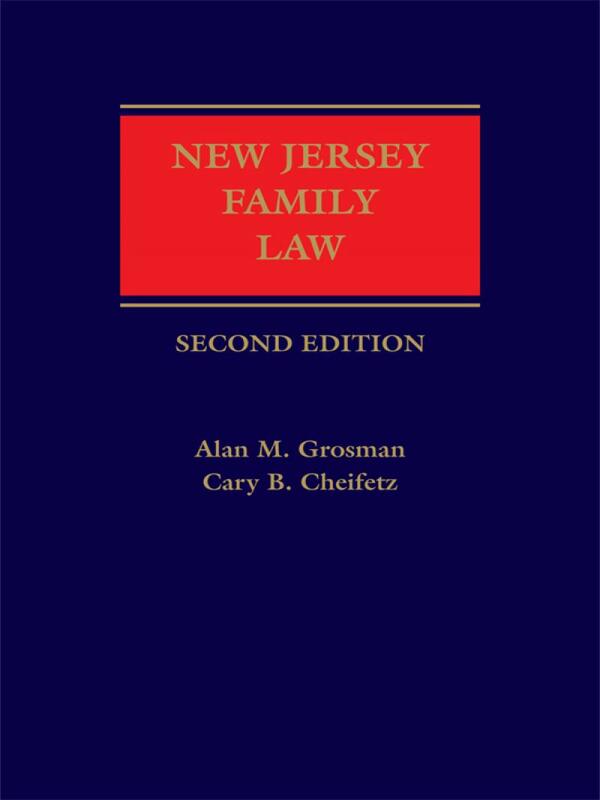 Whether you are a general practitioner or specialize in family law, New Jersey Family Law, Second Edition will provide the tools to help you work more effectively. You'll find a clear and in-depth presentation of the grounds for divorce and annulment, equitable distribution of marital property, premarital and property settlement agreements, adoption, alimony, child support, and the Uniform Interstate Family Support Act (UIFSA). The authors have expanded the discussion of mediation, arbitration, and equitable distribution, and added analysis on the creation and dissolution of civil unions in the Second Edition, plus added 87 essential matrimonial forms to save you valuable time. Alan M. Grosman, of Short Hills, New Jersey, is a member of the New Jersey Bar, specializing in matrimonial and family law. 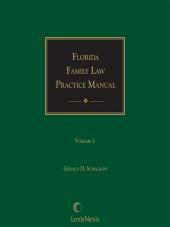 He is the author of numerous articles on family law, litigation, appeals, child custody, and visitation. Mr Grosman is a former Chairman of the New Jersey State Bar Association Family Law Section, a former President of the American Academy of Matrimonial Lawyers, New Jersey Chapter, and a former member of the National Board of Governors. 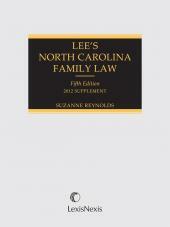 He served as Adjunct Professor of Family Law at Rutgers University Law School, Newark. Mr. Grosman is a former Chairman of the American Bar Association's Alimony, Maintenance and Support Committee and served as Editor of the ABA Family Law Quarterly. He also served as Founding Editor and then as Executive Editor of the New Jersey State Bar Association Family Law Section Newsletter. He is a former Editor of New Jersey Lawyer, the Magazine. Mr. Grosman was Editor of the American Academy of Matrimonial Lawyers Journal and Digest. He was also a Member of the N.J. Supreme Court Family Part Practice Committee, its Dispute Resolution Task Force, and its Committee on Women in the Courts. He was the Founder and Chairman of the Essex County Bar Association Family Law Committee. He also served as Assistant Prosecutor of Essex County, and as Municipal Prosecutor of Millburn Township. Mr. Grosman has contributed articles to the ABA Family Law Quarterly, the New Jersey Law Journal, the American Journal of Family Law, New Jersey Lawyer the Magazine, the Newsletter of the Family Law Section of the New Jersey State Bar Association, and the Proceedings of the Annual New Mexico Bar Association. He has been a speaker at ABA, NJSBA and AAML Annual Meetings, and has appeared on the Regis Philbin ABC TV "Morning Show" and the NBC TV "Today Show." The New Jersey State Bar Association presented him with its Saul Tischler award for his lifetime contributions to the advancement of family law. Mr. Grosman received his B.A. from Wesleyan University, where he was elected to Phi Beta Kappa, his M.A. from Yale University and his J.D. from New York Law School, where he served as editor of the Law Review. Cary B. Cheifetz is a founding member and partner of Ceconi & Cheifetz, L.L.C., in Summit, New Jersey, where he devotes his practice to matrimonial and family law related matters. Mr. Cheifetz has been designated among the top 100 lawyers in New Jersey by Super Lawyers since 2005 and is included in Best Lawyers in America for the field of Famiy Law. He is a former Adjunct Professor of Family Law at Seton Hall University School of Law and is a Past Chair of the New Jersey State Bar Association's Family Law Executive Committee. Mr. Cheifetz is a Fellow and current Secretary to the New Jersey Chapter of the American Academy of Matrimonial Lawyers. Mr. Cheifetz is a Fellow of Litigation Counsel of America. He is Past President of the Essex County Bar Association and a recipient of its Family Law Achievement Award. In 2005, Mr. Cheifetz received the Distinguished Service Award for Excellence in Continuing Legal Education from the New Jersey Institute of Continuing Legal Education. He was the 2008 recipient of the Saul Tischler Award from the New Jersey State Bar Association for Life Time Achievement in Family Law. Mr. Cheifetz is a former member of the Supreme Court Board of Attorney Trial Certification (Matrimonial Law Committee) as well as a former member of the New Jersey Supreme Court Committee on Family Part Practice. Mr. Cheifetz is a member of the Family Law section of New Jersey Association for Justice and is the moderator of the Family Law Program for their Annual Boardwalk Seminar. Mr. Cheifetz is editor emeritus of the New Jersey Family Lawyer. He has lectured extensively on family law matters for ICLE, the American Law Institute, the American Bar Association, the Association of Trial Lawyers of America, among others. He received his BA degree from George Washington University and his JD from New York Law School.